Beautiful is fine, obviously. Spectacular is nice. Stunning is also good. 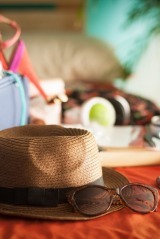 But surely there's more to travelling than mere good looks? Surely there are destinations out there that will bowl you over with their personality alone, that aren't forced to rely on physical beauty to win admirers? And of course, there are. I like an ugly city. I like a place that has to work a little harder to impress. These are often cities that haven't had the resources to produce architectural wonder, that haven't been blessed with aesthetically pleasing geographic locations, and yet they've still managed to pull it off, they've still managed to entice and entrance visitors by the millions with attractions that aren't so tangible or obvious. These are cities that often take a little time to get to know, to come to appreciate their true charms. They reward those travellers who give them a little more time, who aren't just in it for the Instagram photos, but are prepared to dig deep and discover just what these places are really about. So step aside, Paris. Take a back seat, Budapest. 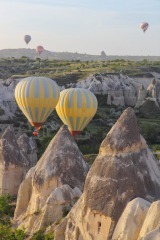 These are the cities that aren't much to look at, but are still must-visits for every traveller. Paulistas themselves would admit that their home town is no oil painting, a city that's the business-focused answer to neighbouring Rio de Janeiro's party vibe. Even if it wasn't doomed to be compared to beachside Rio for eternity, Sao Paulo would still be considered ugly. The city is a hideous sprawl of apartment blocks and office buildings, a metropolis choked with traffic and smog. No one comes here for the scenery. 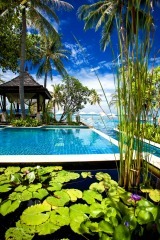 What many tourists do come here for, however, is the local people, who are friendly and warm. They also come here for the world-class dining scene (the multi-award-winning D.O.M. 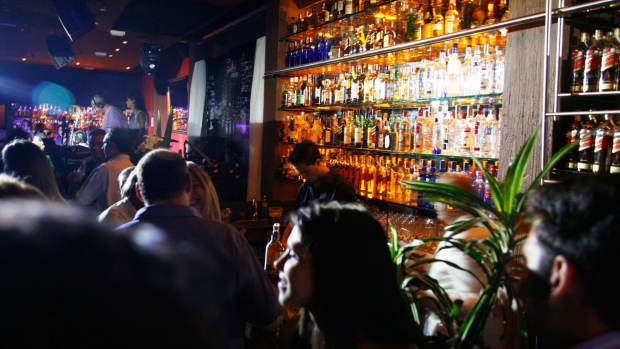 is a good place to start), for the excellent bars and the clubs, and for a multicultural city that has plenty to offer those who give it a chance. 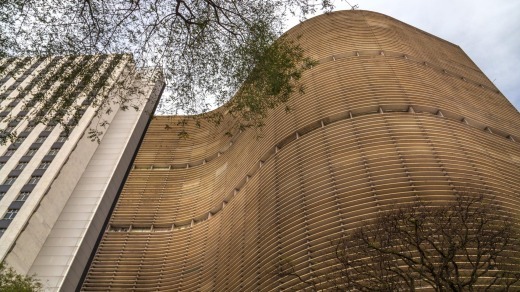 Though Sao Paulo isn't pretty, it does boast a few pieces of beautiful architecture, including Edificio Copan, a skyscraper designed by Oscar Niemeyer, with a top-floor lookout. The city otherwise known as Jo'burg suffers from a terrible reputation, and on face value lives up to it. This metropolis doesn't have the landscape of Cape Town, or the waterfront of Durban. What it has are a few fancy homes trapped behind razor wire, and an urban sprawl of poor to middle-class dwellings that don't look inviting. Jo'burg is changing. This is pretty much the capital of Africa, and there's an undeniable buzz here, not to mention a great bar and restaurant scene, and a few neighbourhoods with surprising hipster appeal. Go to feel the energy of a city on the up. Go to eat at restaurants such as Marble, where braai-style food morphs into fine-dining. 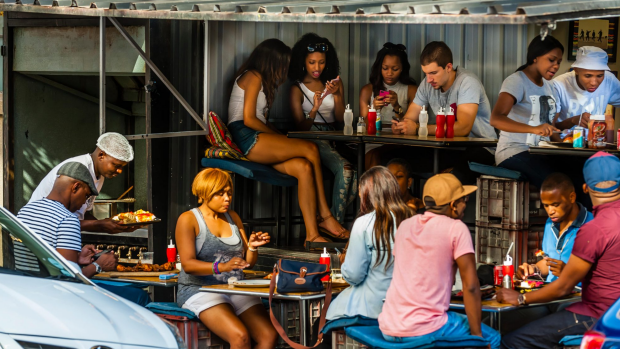 Go to hang out in Maboneng, a one-time industrial ruin that's now awash with cafes, cinemas and street art. Spaza Art Gallery is a quirky showcase of local artist Andrew Lindsay's works, a dash of whimsy in a city that can seem quite serious. Osaka isn't that ugly. It's clean and tidy, as you'd expect. It has a few canals and rivers that aren't so bad. It's just that this city is frequently compared to drop-dead-gorgeous neighbours such as Kyoto and Nara, and it's never favourable. There are few beautiful buildings in Osaka; its history isn't immediately obvious. What the city does have, however, is a reputation as Japan's gastronomic capital, as well as some great shopping, and a solid bar scene. If you're not eating in Osaka, you're doing it wrong. 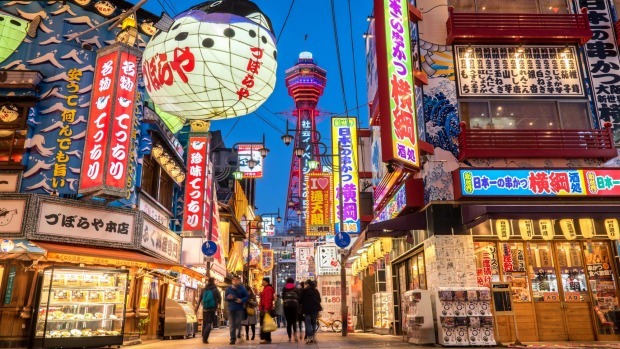 Osaka is the place to try takoyaki (fried octopus balls), yakiniku (grilled meats), kushikatsu (deep-fried treats on skewers), okonomiyaki (pancakes of cabbage and eggs), taiko-manju (sweet pastries) and more. 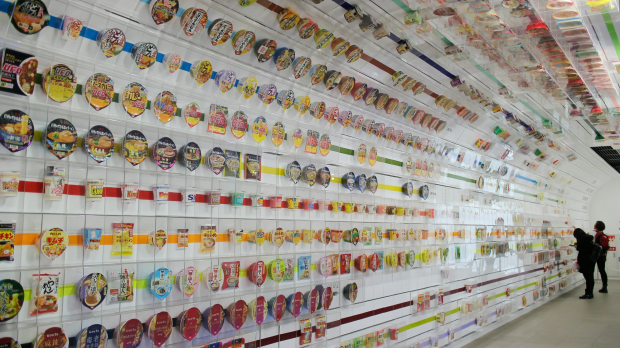 One of Osaka's quirkiest attractions is the Momofuku Ando Instant Ramen Museum, an establishment dedicated to the invention (and popularity) of cup noodles. At the end of the tour here you can create your own flavour. You'd have to search long and hard to find someone who thinks Cairo is beautiful. Even the jewel in the city's crown, the Pyramids of Giza, have been enveloped by urban sprawl. The city is chaotic and polluted, brash and intimidating. Cairo does have its charms. It has energy that seems limitless. It has history imbued in its DNA. It has culture forged over thousands of years, culture that will be happily shared with those who give the place a chance. The city's history is obviously its biggest drawcard: a stay here should include the good part of a day spent exploring the Egyptian Museum; plus there are the pyramids and the Sphinx, and more modern history in Al Azhar Mosque and Mosque of Sultan Hassan. 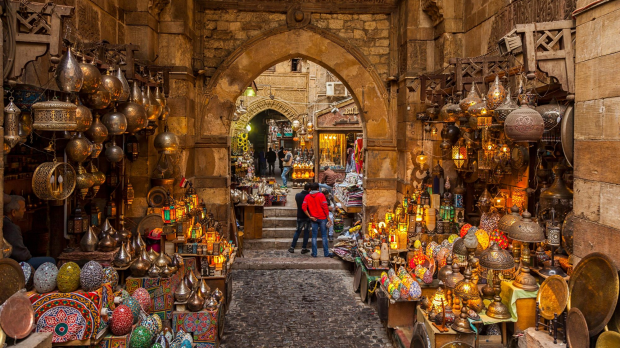 Cairo is also home to Khan el-Khalili, an ancient, sprawling souk in which you'll find all things weird and wonderful for sale, as well as the chance to sit with a cup of tea and watch the world go by. There are people out there who think Vegas is attractive, but then there are also people out there who wear Ed Hardy clothing and Crocs. Vegas is big and bold, but it isn't attractive. It's all neon signs and tacky bits of faux-Europe, as well as a featureless urban sprawl that stretches on into the desert. 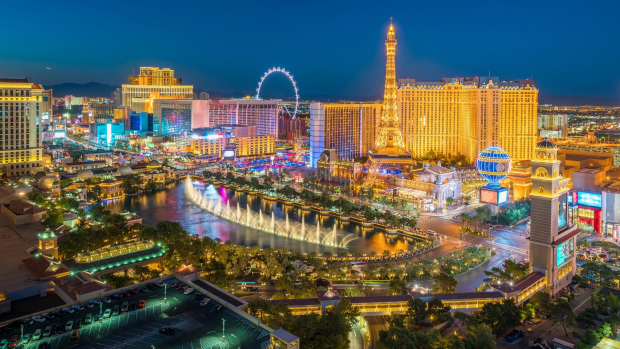 Las Vegas is also, however, a whole lot of fun, the sort of city where you just have to ignore the ugly and embrace the joy, to drink and dance and gamble and laugh at the sheer insanity of it all. There are many different ways to do Vegas. You could do it as an art lover, seeing street art downtown, modern art at Barrick Museum, and fine art at the Bellagio Gallery. You could see it as a foodie, dining at restaurants helmed by Joel Robuchon, Gordon Ramsay, Mario Batali and Jose Andres. Or you could see it as a party animal and just go, you know, anywhere. Get in touch with Las Vegas' old-world glamour with a trip the Neon Museum, where all of the bright lights that used to glow on the Strip go to retire. Despite its high Andean location, La Paz is not much to look at. The place is a mess of ragged houses clinging to steep hillsides, and traffic that rarely works itself up past a crawl. La Paz is great. It brims with life. It boasts a culture you won't find in any other Latin American city, let alone anywhere in the rest of the world. Indigenous representation here is strong. The way people dress, the way they look, the food they eat and the things they're into: they're unique, and fascinating. Indigenous culture in La Paz is expressed in many ways: in the famed Witches Markets with their ghoulish wares; in the cafes peddling coca tea; in the vendors selling saltenas, the Bolivia-style empanadas. All are worth checking out. 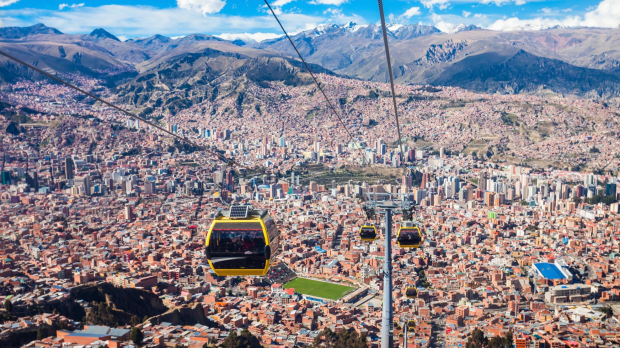 Take a ride on La Paz's "subway in the sky", the gondola system that whisks commuters from El Alto at the top of the city to Zona Sur at the bottom, and provides unbeatable urban and mountain views. 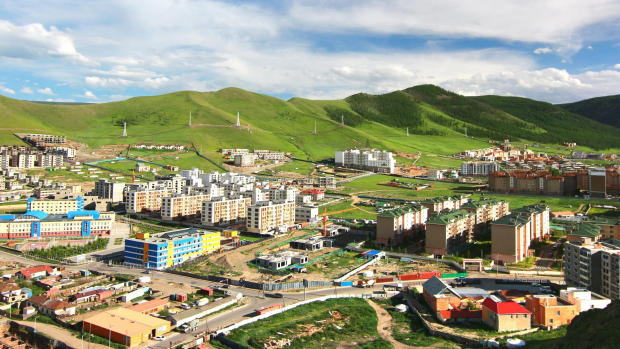 Ulaanbaatar holds two dubious honours: it's the fourth most polluted capital city in the world; and it's the world's coldest capital. Sounds great, huh? UB is also spectacularly unattractive, with a whole heap of post-Communist apartment blocks, shocking roads, and a pall of smog. The Mongolian capital is still worth a visit, mostly because it provides visitors access to greater Mongolia, which is one of the best (and most beautiful) destinations on the planet. 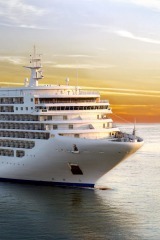 Even the city itself, with its Buddhist temples and historic palaces, is deserving of a few days' exploration. Mostly, to get out. Go to Terelj National Park to see spectacular natural landscapes. Go to Hustai to stay at a ger camp and see wild horses roaming the plains. Drive through endless wilderness and just take it all in. Drive about 55 kilometres east of Ulaanbaatar and you'll see the most amazing sight: a 40-metre-high, stainless steel statue of Genghis Khan on a horse, perched in the middle of nowhere. Though Colombo does have a few beautiful colonial-era buildings, and a long stretch of waterfront, as a whole it's chaotic and pretty shabby, without the charm of Kandy or the history of Galle. 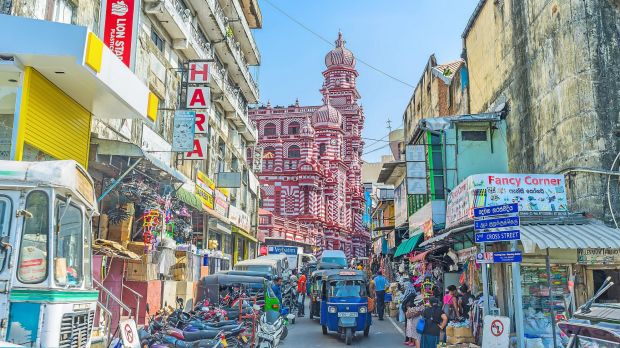 What the Sri Lankan capital does have, however, is food – extremely good food, from the street eats down by Galle Face Green, to the high-end seafood at the Ministry of Crab. Colombo is also a buzzing hub with a strong culture and a good heart. The city is still a little dilapidated in some places, but that adds to the historical charm, particularly in the Fort area, which is undergoing extensive renovation. The chaotic but character-filled Pettah Market is also an amazing place to explore. Every evening the Galle Face Green area comes alive with street food stands and picnickers, people flying kites, hitting cricket balls, and just enjoying the sunset. 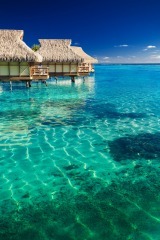 It's a great place to be. It almost seems impossible that such an ugly town could exist in such a beautiful place – and yet here, deep in the Peruvian Andes, in the shadow of the spectacularly beautiful Machu Picchu, lies Aguas Calientes. Aguas Calientes is indeed ugly. It's a town built for the tourist trade, a transient place full of shabby, unfinished buildings and unplanned sprawl. All you need to do to enjoy yourself here, however, is lift your eyes to the heavens, and take in the incredible surroundings. Aguas Calientes is a means to an end, and that end is getting up to Machu Picchu first thing in the morning before all the day-trippers arrive. For that reason it's worth putting up with for a night or two. 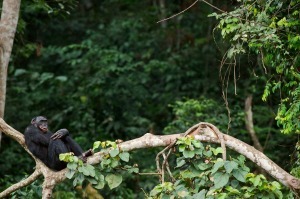 Plus there are a few excellent hotels here, including the beautiful Inkaterra. 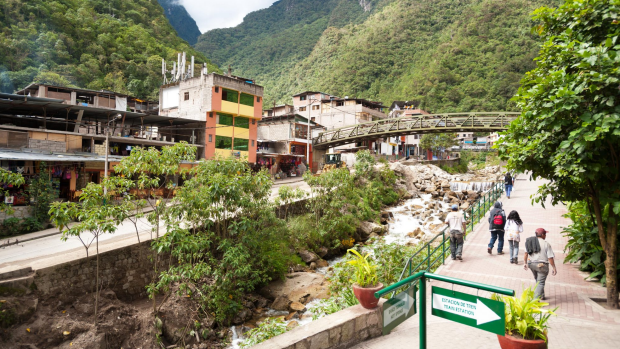 The name Aguas Calientes means "hot waters", and it's worth visiting the eponymous hot springs to soak away any aches and pains picked up exploring Machu Picchu. Queenstown is a little different to the idyllic vision of Tasmania you might have: it's an old mining town set within a lunar landscape, where rusted shacks look close to collapse, and dusty hills speak of a former lack of care. However, Queenstown is reinventing itself as a tourist destination, and is a fascinating place to wander and get in touch with Tasmania's past. Mount Isa is a mining town in the middle of nowhere, a conglomeration of smoke stacks and corrugated iron set against the red dirt of outback Queensland. It's not pretty, but the Isa does have heart, something you experience the minute you wander into town, the second you call into one of the town's old pubs and order a pot. Welcome home. 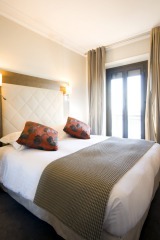 You expect Rome to be stunning, and in the Centro Storico and its immediate surrounds, it is. However, venture outside those touristy areas and you'll find a city on the breadline, old apartment blocks covered in graffiti, crumbling pavements littered with rubbish. That's part of Rome's charm, but it takes some getting used to. The Czech capital is a neo-Gothic dream, with its church spires and Renaissance-era bridges, its beer halls and absinthe dens. As with most post-Soviet cities, however, the outskirts of Prague are filled with drab apartment blocks that seem to stretch on forever. San Fran is amazingly beautiful, in places. There's great modern architecture, stunning waterfront locations, and charm to burn. The city does have a seriously gritty side though, a side you'll be able to see in the Tenderloin and Mission districts, which are edgy to say the least. Stroll around certain parts of Hanoi and you could swear you'd stepped back into colonial times, such is the grandeur of the old buildings mixed with the thrill of south-east Asian life. It's a shame, then, about the pall of smog that often hangs over the city, and the chaos of the outer suburbs. Picture Rio de Janeiro and you'll see beaches such as Copacabana and Ipanema, Christ the Redeemer atop his mountain, Sugarloaf Mountain rising from the sea. What you'll probably ignore is the city's favelas, the 1000-or-so slums where almost a quarter of Rio's residents reside. That's not pretty.